Earlier this year, KLAS published a report entitled, ‘Decision Insights 2018: National Trends & Best Practices.’ In June, we broke it into two market segments: Enterprise Resource Planning (ERP) and Population Health Management. These brief reports give us a look into the market energy — which vendors are losing customers, which ones are being considered, which ones are winning deals, and why. The ERP market has long lacked a clear front-runner, but has recently been infused with new vitality. The culprit? Cloud-based tools. Both vendors and customers are paying more attention and making more decisions than they have in the past. I have never before seen all of the vendors included in a single report so interested and engaged. I think this is because the Decision Insights ERP report provides answers to several questions, and brings others to light. The Decision Insights data show that ERP’s present and future inarguably lie in the cloud. ERP vendors (such as Kronos, GE, and Meditech) that lack cloud products are rarely considered by potential customers. On the other hand, vendors (such as Infor, Oracle, Premier, and Workday) who do offer cloud products are considered quite often, even for their non-cloud-based tools. ERP is one of the first markets to go all in on the cloud. Many customers assume that going to the cloud will put all of their problems into someone else’s hands. The truth is, while overhead pieces and costs are decreased in cloud models, there’s still a need for bandwidth. Too many customers don’t understand until it’s too late that there are plenty of potential “gotchas” associated with implementing a cloud tool. In the comments section of the Decision Insights report, many customers who had already gone live with SAS-based ERP tools provided tips for avoiding pitfalls. First, a potential cloud customer must test all endpoints, including PCs, smartphones, and tablets. Another pointer is that using a small load in the testing environment won’t be enough. The testing environment must include a large load and test the organization’s network and infrastructure. Customers who invest in a cloud ERP tool will find the most success when following these best practices. One of the first things many readers of the ERP report notice is that three vendors — Infor, Oracle, and Workday — are clustered together with similar scores for satisfaction and consideration. Premier, however, ended up with a high satisfaction score but few considerations. While some decisions have more to do with GPO options than anything else, the main reason for Premier’s lower-than-expected considerations appear to center around potential customers’ perceptions. Some of these perceptions, however, are real head-scratchers. For example, many potential customers get turned off by the idea that Premier isn’t innovative. This might seem unfair when one remembers that while other ERP vendors have never or only recently released cloud-based tools, Premier’s ERP tool has always been in the cloud. Another reason Premier’s system is often passed by is that it lacks an HR/payroll tool, but it certainly isn’t the only ERP system with functionality gaps. So why are customers giving other vendors the benefit of the doubt and passing on Premier? The answer could be rooted in anything from Premier’s marketing to a desire for shiny tools over established ones. In any case, we are eager to get to the bottom of this mystery. One way we sliced the Decision Insights data was to see which factors were most important in the considerations, wins, and losses of products. Pricing was identified as important in 20 percent of the losses, but only 4 percent of the wins and considerations. At first glance, that disparity seems counterintuitive. However, I think the understandable reason for this difference is that we are at an inflexion point between the old and new ways of doing ERP. 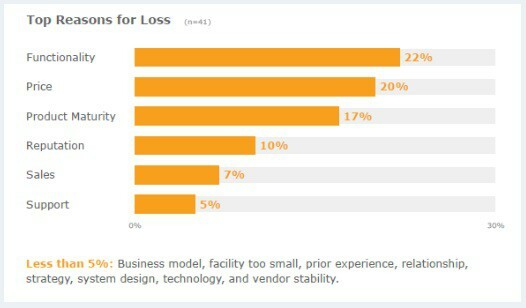 Many provider organizations that have recently replaced or decided to replace their ERP systems complain that the systems are expensive. This is particularly true when it comes to Infor. However, most of these ERP tools being replaced are the vendors’ older, non-cloud-based systems. With these systems, it’s not generally the software prices that raise eyebrows — it’s prices for things like servers, hardware, and licensing. Those items have largely disappeared from the new, cloud-based models. In addition, Workday’s subscription-based model has truly disrupted the market. Other vendors have taken notice, and I believe that any of them who haven’t already shifted their financial models will be forced to do so. As more and more customers move to the SAS-based tools from Infor and Oracle, I think low pricing will cease to be a distinguishing feature and become more of a commodity. ERP has become a rich, aggressive, and volatile market, and there have been some changes just since the April deadline for the data in the report. 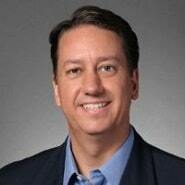 The new products from Infor and Oracle will change the status quo. We may see both of these vendors join our ‘A list’ by the time of our next look at the market a few months from now. As additional ERP data trickles in and is analyzed, we will learn even more about the “why” of buying decisions, the success of new tools, and more. I’ll be sitting on the edge of my seat until then.